Don Campbell is a smart guy – and busy. For at least as long as I’ve been in “local,” his company – Expand2Web – has been hooking up small-to-medium business owners with affordable, solidly built, professional WordPress sites. He knows his local SEO, and has contributed to the Local Search Ranking Factors study five times. Don is also as much of a customer-reviews nut as as I am (well, almost :)). He’s built an excellent tool called GetFiveStars, which can help you get reviews from your customers – and save you a lot of blood, sweat, and tears in the process. We had a great pow-wow about reviews a couple of months ago, and will both be speaking on BrightLocal’s upcoming webinar on – you guessed it – customer reviews. This interview is part of that ongoing conversation. If you have any interest in getting more in-touch with your customers, getting more and better customer reviews, developing a product, or just building your business, read on. Phil: What would be your “elevator pitch” for GetFiveStars, to someone who might be pretty new to reviews in general? The product automatically solicits and tracks feedback, prevents bad reviews, pushes testimonials out to the business website and encourages happy customers to leave reviews across the Internet. Phil: And how would you describe it to a “reviews geek” like me, an SEO / marketer, or someone else who digs all the technical details? Don: In the industry we all know how important online reviews are in terms of both ranking and conversions. The trouble sometimes, is getting busy small business owners to be proactive about them. Most of the time it’s because they don’t understand how reviews work and don’t have a process in place to follow up with their customers. What we’ve tried to do with GFS is to automate this as much as possible, making it easy for the business owner to collect feedback and engage with their customers. The result is more positive online reviews, less negative reviews, and happier customers who are referring you to their family and friends. We also built the system so that it can be white-labeled by agencies that manage many businesses and want to provide their clients with a feedback and review management system. Some SMBs are fearful of engaging in the review process. Our system frees them from worry and provides a process that allows them to interact with every customer without worrying about whether they will leave a good review or not. We use an intelligent process that adapts to the customer’s feedback. For example, customers that are less-than happy will be directed to a page that thanks them for their feedback, and sends an alert for the business owner to follow up and resolve the situation. Customers that leave very positive feedback are taken to a page that thanks them, and encourages them to leave a review on one of the popular online review sites. The business owner gets to define which sites show up here and in what order they are displayed. We are using a sophisticated email delivery system on the back end to ensure no spamming goes on, and we get the highest delivery rates. The software is built, maintained and updated by experienced Silicon Valley software veterans, and employs the latest web frameworks – such as Twitter Bootstrap – to ensure we have an elegant, responsive interface that works on all devices, including iPhones, iPads, Android devices, etc. This means that a business owner could add a new customer and send the feedback request right from their iPhone. Or they could approve a testimonial to go live instantly on their website right from their tablet. The Testimonials Widget allows businesses to automatically feature testimonials from their customers right on their website. It employs a “graceful degradation” approach so that it can work on any website, whether you are using WordPress, PHP, or just plain old HTML. These testimonials are marked up using the Schema.org review format that Google crawls and understands (more info from Google here), which results in SEO benefits for the business’ website. We also have some pretty cool internal apps for monitoring the system and allowing us to tweak the product in real-time as necessary. Our product development process allows us to turn things around very very quickly. We are a very customer-centric company. Our role models are companies that place customer service at the top of their priority list – like Amazon.com and Zappos. Phil: There are at least a couple of other good tools for getting reviews. Grade.us and ReviewBiz come to mind. What would you say to a business owner who has trouble deciding which tool(s) to try – besides “test several and see what works best”? Don: Yes, there are a lot of different reputation management tools out there. Many of them are very good. My advice is to look for a tool that focuses on helping you deliver great customer service by proactively engaging customers and building word of mouth referrals vs just building review counts. Our approach has been to create something specific to the small business owner who wants to truly listen to their customers and build their word-of-mouth referrals. We’ve created a unique method of helping the business connect with their customers and ask them for feedback. We don’t just help them monitor or get online reviews. We are helping businesses build better relationships with their customers. By the way, I’m not comparing us to the other solutions you mentioned, just trying to share our approach and philosophy on this. Phil: What types of businesses is it best-suited for – or not so good for? Don: GetFiveStars works best for any type of service oriented business – one where you have customer visits and want to build a relationship with them to encourage repeat business and word-of-mouth referrals. It is not as good for product review sites, or websites with many products to review (like Amazon.com, for example) since the feedback requests are more geared for customer experiences or visits than products. Phil: How does GetFiveStars fit in with what you’re doing over at Expand2Web? Don: Expand2Web provides tools and training to help businesses succeed online. We help businesses make the transition to an effective web presence that delivers new customers. GetFiveStars fits very well within that vision, and automates a process that we’ve implemented manually with many clients to help them follow up with their customers and build word of mouth referrals. My background is as a software product manager. Working at companies like Interwoven and Microsoft, I’ve had the opportunity to work on some very exciting products. So this is a very special project for me because I can really see that value and results for the businesses we are working with. We’re having a blast working with customers, seeing how they use the software, and continuously improving it. Phil: What kind of demand, or requests, or questions did you get from Expand2Web customers or clients that made you conclude, “This is how we should build GetFiveStars”? Don: We received a lot of really good feedback from our early customers that helped us shape the usability of the tool, and new ideas on reporting too. One example of something that came from a customer request was the ability to automatically send out feedback request emails to customers rather than doing it manually. We automated all of these steps so that the business owner doesn’t need to worry about them. The business owner just get email alerts once feedback has been left for them so they can review it and respond if necessary. Of course they can still do it manually, but this is a feature that almost all of our customers take advantage of now. Phil: I know Professor Maps is another big brain that’s been involved in GetFiveStars. When he and I talked recently, he said it really fits in with his vision for how business owners should go about getting reviews. Where has Mike’s influence really come into play so far? Don: Mike became involved very early on. Much of the product is based on his vision. He’s a thought leader in local search and online reviews, and puts a lot of research into how these processes work best to help businesses succeed online. With GFS we’ve tried to implement best practices that really work with our customers, and Mike’s philosophy and vision on what the best practices are. He is very involved in the product direction and partnerships that we make as well. I feel very fortunate to have Mike involved in this project – he brings a ton of credibility and intelligence to the tool. We both share a similar philosophy on how to help customers – it’s not just about getting as many reviews as you can or taking shortcuts. We’re out to help businesses build long-term relationships with their customers and build thriving businesses with happy customers and word of mouth referrals. Phil: What’s been (or was) the hardest part of developing the tool? Don: Getting the design and user experience right. We’ve set a very high bar for the user experience in the product. And it’s hard to get right. Small Business owners are typically very busy and responsible for many jobs at once. So this tool needs to be very easy to use and efficient – it needs to create a lot of value or else the business owner will not use it. We were fortunate enough to work with an amazing designer with a background in UX to help us. And we are constantly refining the user experience with the goal of making it super easy for the end business user, or agency, to use. Phil: What was the biggest course-correction you made while developing GetFiveStars? Any ideas you ended up scrapping – maybe even ones you’d like to revisit later? Don: Early on Mike urged us to develop an agency dashboard that would allow agencies, or anyone managing multiple business locations to see how all of their businesses are doing at a glance. That required us to go back and rework how we thought about things. It was pretty challenging to do it right. It also complicated our messaging – we’ve had a really hard time figuring out how to describe the product and what it does to both SMBs and agencies at the same time. I’m so glad we did that though, and think we have a much stronger product now because of it. Many of our customers are multi-location businesses and agencies that manage multiple businesses. Phil: What is the best piece of criticism you’ve received on GetFiveStars – one that really made you stop and scratch your head? Don: When some of our first customers got ahold of GetFiveStars, the first thing they wanted to do was import all of their Google and Yelp reviews into the tool. They were really mad when we told them they couldn’t do this! But the problem is, if Google sees duplicate review content on your website, it may remove the review from the business’s Google+ page, which is not good of course. It really highlighted for us the value of education in this domain. As you know, it’s very confusing for business owners how online reviews work, what the best approaches are, etc. Phil: People who create stuff tend to be their own harshest critics. How would you critique GetFiveStars? Don: I feel like we have a great product. I can honestly say I’m happy with the functionality and the user experience. But the marketing and website are not what I would like it to be. I don’t think it reflects the enthusiasm we have – and our early customers have – about the product. We are a small company with limited resources and have been so focused on the software that we haven’t done a good enough job describing what it does. Now it’s time for us to focus on telling our story, and helping business owners and agencies understand what we can do to make their lives better. We also have to do a better job about getting educational content up on our website. I like companies who do a good job of providing free, valuable tips and info to customers. Everybody wins – people get valuable information to help them, and it builds trust and credibility in your brand. That worked very well for us with the SmallBiz theme, and now we need to do a better job of that with GetFiveStars in the form of tutorials and videos about customer feedback and reviews best practices, commonly asked questions, etc. Phil: What’s a “pro tip” about how best to use GetFiveStars? Don: I love the “pro tips” idea. I am always looking for “pro tips” whenever I take on something new, like learning photography, or using a new iPhone app or even playing a new game or sport. Use the “automatic” mode for sending out feedback requests. We added a feature based on customer feedback that automatically sends out feedback requests to your customers on a daily basis. This makes their life easier, and ensures that they get a nice and steady flow of customer feedback and online reviews over time. 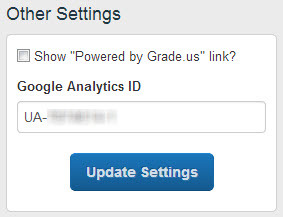 Customize your feedback request emails. We provide some nice templates, but there is no substitute for personalizing the emails that go out to your customers. You know your customers best. Making the emails personalized and friendly will result in more responses and ultimately better engagement and reviews. Immediately follow up on less-than-positive feedback. One of our early customers told me she didn’t want to upload her email list and send out feedback requests to everyone. When I asked her why, she said “what if I get some bad feedback?” I told her, “that’s exactly why you want to send them out!” If you have a customer issue, don’t you want to know about it? If you know about it you can respond, and resolve the situation. I can’t count the number of times I’ve seen an unhappy customer turn into one of the business’ biggest champions because they took the time to listen to them and address their concerns. Phil: What are some features you’d really like to add? Don: I’d like to add more and better reporting. I want to keep raising the bar on usability, and I want to do a great job of balancing new feature requests with maintaining simplicity in the product. For example, I used to work at Microsoft, and one of their popular products was Microsoft Project. The product was updated an evolved over years and many features were added. At some point the product became too complex, it had hundreds of features that nobody used and the product became very hard to use. Then along came a company called 37 Signals, who developed a lightweight, online project management tool called BaseCamp. They had a very interesting approach – they built a very simple, elegant and truly useful tool by tightly managing the feature set of the product. It was a pleasure to use, and they were very successful with this approach. I like that philosophy – great products are simple to use and implement the key features that provide the most value really well. That’s the approach we’ve tried to take with GetFiveStars. Here’s an example of a new feature I want to add soon – I admire the way tools like Trello and HelpScout have notifications inside the tool that introduce you to new features as they become available. It helps users discover new product features as they are using the tool and also demonstrates that the software developer is committed to improving the software regularly. I’d like to do something like that inside of GetFiveStars. 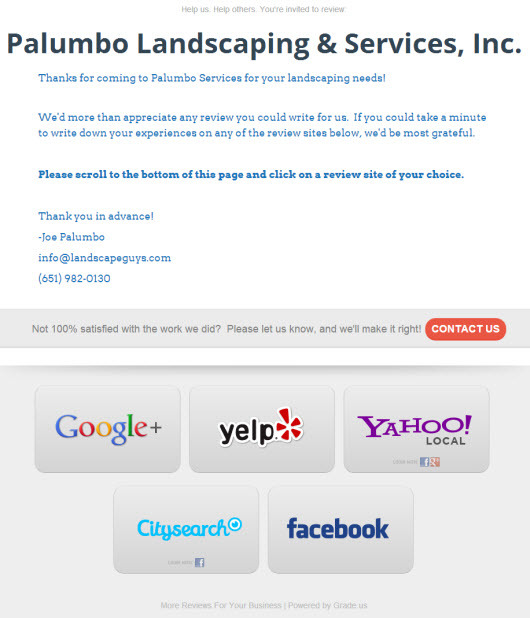 Phil: GetFiveStars relies a lot on being able to contact your customers by email to ask for feedback / reviews. What are some best-practices for emailing that you’d really want a GetFiveStars user to know and apply? Don: Personalize your email subject lines and the body of the email as well. Personalized, relevant emails get opened and acted on. We provide some nice defaults within the tool, so it doesn’t take long to tweak and customize them for your specific industry or types of customers. Another tip I have is this – don’t be afraid to ask your customers for feedback. Many businesses I talk to are afraid to ask at first. But you will be surprised – customers want to be listened to. And even if they are not happy – especially if they are not happy – you want to hear from them. You can really turn an upset customer into a super happy customer by listening to them and addressing their concerns! The big idea here is to engage with your customers and build lifelong relationships, so they will be happy and tell their family and friends about you. This becomes your best marketing, instead of running expensive ad campaigns. Phil: Some business owners only try to get reviews in fits and starts, and don’t really take the slow-and-steady approach. They might be reluctant to pay even a small amount monthly, even for a tool that helps quite a bit. What advice would you have for those people? 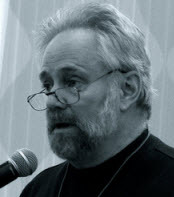 Don: I know it is tempting to try to get a lot of reviews all at once, but the reality is that Google uses very sophisticated algorithms to determine ranking, placement, and review authenticity. They are looking for a natural review profile that is built up over time from diverse sources. If they detect a surge in reviews or a lot of reviews from one source they may suspect that someone is trying to “game the system”. This results in filtering of some reviews, and poor results in the search rankings. It’s similar to the panda and penguin updates where some people were stuffing their sites with thin content or buying backlinks. Sometimes they got a temporary boost but then got hammered when Google updated their algorithms to detect this behavior. That’s why we recommend building a steady flow of feedback and reviews over time for the best, and most long-lasting results. Phil: There are a lot of mistakes a business owner can make when asking customers for reviews. To what extent do you think business owners need to “educate” themselves about the dos and don’ts before (and while) using GetFiveStars? Don: It’s true – there are some “best practices” that businesses should consider when asking their clients for reviews. In fact, we recommend asking for feedback first, and then depending on that feedback, take action to resolve any unhappy customers, or asking for online reviews from your happy customers. This shows your customer you aren’t just out for the review. You are in it to make them happy and satisfied customers. Then the great reviews come naturally. I also suggest that businesses monitor the major online review sites so they know what is being said about their business online. Major review sites like Google and Yelp even allow the business owner to leave comments on the customer reviews. You can leave comments on positive and negative reviews, and leaving these comments shows that you are engaged with your customers and care about them. Phil: Obviously, a business owner can use GetFiveStars right “out of the box” to start asking for reviews. But – as with anything else that’s worth doing – getting reviews is something where it’ll take you a little time to go from good to great. What’s the learning curve for business owners who use GetFiveStars? What do they need to get better at or discover over time, in order to use the tool to the max? 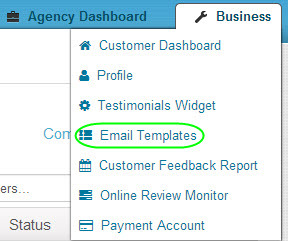 Don: Recently we added a 3-step setup process to help businesses get up to speed quickly. It involves adding links to your online review profiles, customizing the feedback request email, and importing your customer email list. Make your website more personal. Add a picture of yourself, or of your smiling receptionist or office manager. People buy from other people, not anonymous websites. Be transparent about reviews – put testimonials and reviews on your website with links to your online profiles. This shows customers that you aren’t hiding anything. I’ve seen these tips lead to much more effective websites for many different businesses. Phil: Some business owners say that because there are so many fake reviews floating around the web, and because some reviews can get lost or filtered, it’s not worth putting much effort into getting reviews. How would you reply to that? Don: It’s true there is a lot of this going on. But it doesn’t make it any less important to be proactive about your online reviews. Google, Yelp and other services are getting very good at detecting false online reviews, and they have whole teams working on this. Don’t waste your time trying to game the system. In the end, what does it matter if you have 100 five star reviews that are faked? What you are after is happy customers that are telling their friends about you. Fake reviews do not help with that. Engaging with your customers does. I know many businesses who don’t even need marketing campaigns because their word of mouth referrals provide so many new customers. You don’t get there by buying fake reviews. The reason that we support so many forward facing review sites is to give a business’s customer a choice that they are familiar with and that they are used to. If they have used that particular review site before, the review that they leave for the business is more likely to “stick”. Phil: Let’s say someone makes a knock-off version of GetFiveStars that has the same features (but that maybe isn’t put together as nicely). Would GetFiveStars evolve in any way to stay ahead of the curve, or is there a unique benefit you already bring to the table that you’d want to remind your users of? Don: My philosophy is that everything is a commodity today. We live in a truly global economy, and someone can always do it cheaper. The way to differentiate is by the experience you deliver to your customers. So that is our focus. We will keep raising the bar on the usability and effectiveness of the tool. We will keep raising the bar on the support we provide, and the knowledge and best practices that go into the product and process. This opportunity is large enough – 26M small businesses in the US alone, 10s of millions more internationally. If we do our job of building a tool that truly provides value, and treating our customers like kings and queens then we will have plenty of customers and traction in the market. Phil: What changes brewing at Google, Yelp, or in the reviews space in general do you think might change the way GetFiveStars works? Don: That’s a very good question. It was interesting to watch how Google tried to change from the 5 stars model to the 30 point Zagat inspired scale for all businesses. Now they are changing back. I think the core premise of the product – engaging with your customers to get their feedback and act on it – will not change based on any variations that Google, Yelp, or any other services makes. 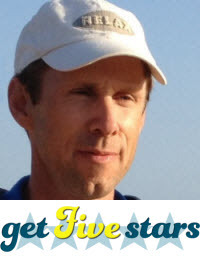 Phil: Is there a “core” feature of GetFiveStars that you just don’t see yourself ever changing (significantly)? Don: The ability to get feedback from customers and act on it. There are a lot of exciting directions I can see this product going, but one thing that I don’t think will ever change is the focus on interacting with customers and making it easy to get feedback from them and see how that is affecting your business. Phil: Right now, GetFiveStars is a one-offering brand. Do you see it turning into a brand with other offerings? Don: I do feel like there are a lot of directions we can go with GetFiveStars. I want to keep the tool focused and effective, instead of cramming it with a ton of features and complexity. It should always be a pleasure to use, and take the minimum time and effort on the part of the business owner. As we work with our customers, we can add new capabilities that add value. Birthday reminders, loyalty programs, and other customer interactions are certainly things we can imagine in GetFiveStars in the future. Phil: What are your current “listening stations” for getting feedback about GetFiveStars? Don: As you might imagine, we are using GetFiveStars to collect feedback from our customers. We are engaged one-on-one with them as they use the product to get their feedback and ideas. We are actively trying to solve their most pressing problems. We also connect in with the Local Search community (look at the contributors to the Local Search Ranking Factors report) to keep on top of best practices and changes in the industry. We’re also using a tool called Mention.com (based on a customer recommendation) to monitor certain topics on the web. Phil: What’s the best way for a user of GetFiveStars to contact you with technical questions or to offer feedback? Don: We provide personalized email support at support@GetFiveStars.com. We also have a user guide with video tutorials, FAQs and full documentation. Our developers respond to every email too. 1. 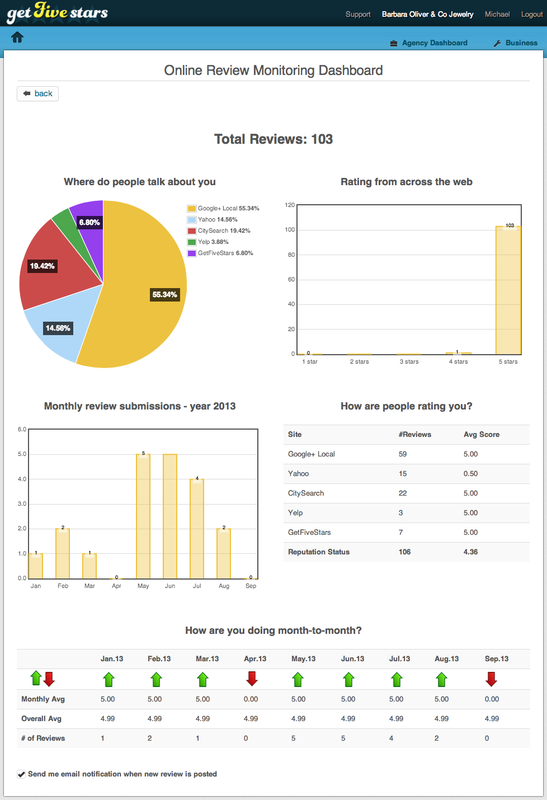 Monitor your online reviews so you know where people are leaving reviews for you, and respond to them. 2. Put a simple and effective process in place for your office staff to ask your best customers for online reviews. This can be as simple as a clipboard with a list of names and email addresses. Collect those emails throughout the week, and then send a nice email at the end of the week to the people who visited, with a direct link to your Google+ page so they can leave you a review. 3. Cultivate your online profiles for Google+, Yelp, and any industry specific site, and your website. Phil: Unrelated question: What’s a handful of books that helped you grow Expand2Web – and that you think would help anyone trying to grow a business? If you want to know about a book for something – just ask me. I’ve probably read it! Huge thanks to Don for the great insights. If you’re serious about customer reviews, I highly recommend giving GetFiveStars a try. Any questions for Don or for me? Leave a comment! LocalEze is one of the most important sites to list your business on if you want to rank well in Google’s local search results. I’d put it in the top 5. It’s important because it feeds your business info to a ton of other influential third-party sites, which in turn influence your Google local rankings. All you need on LocalEze is a free listing (though in some situations a paid listing isn’t a bad investment). Meanwhile, picking the right categories to list your business under is a make-or-break step – both on your Google+Local (formerly Google Places) page and on major third-party sites like LocalEze. Essentially, it’s your chance to tell Google what search terms you most want to be found for. You don’t want to blow the opportunity. But in order to select the right categories, you first have to find them on the list. This is very easy to do on many major sites (like Yelp). However, LocalEze has 1742 categories to choose from. You’re required to choose one for your business – but no more than one. They have an OK browse feature, but it can still take a while to find the right category, and it will take you forever if you first want to see all your options. I’ve also found that the system can be very slow (it tends to “crunch” a lot). That’s why I’ve rounded up all 1742 business categories in the LocalEze directory and put them into one easy-to-search list. Kind of like Mike Blumenthal’s ultra-handy Google category tool, it’s meant to save you a few minutes of frustration and help make sure you pick out the right categories for your business where it really counts. You can only pick one category for your LocalEze listing (for reasons I don’t know). You want to make sure it’s the single-most relevant. It’s much easier to find the right one if you can see all your options at a glance. If you’re not sure which category to pick, you need to be able to browse a list easily. But isn’t not always quick or easy to browse through LocalEze interface. If you manage listings for several locations – whether you’re a business owner or a local SEO – you’ll probably get tired of searching around for the right category every time you create a listing. This post would get huge and bloated like 1970’s-era Elvis if I tried to stuff 1742 categories into it. So – as you can see – I didn’t go that route. If you have any suggestions for how I can make the list more useful or just better in general, please leave a comment!